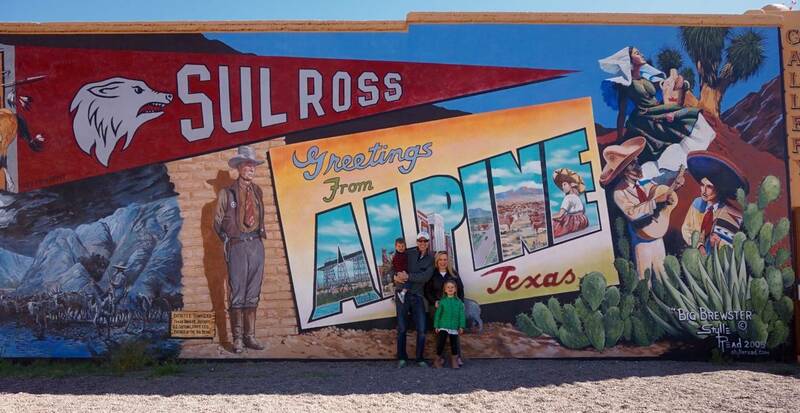 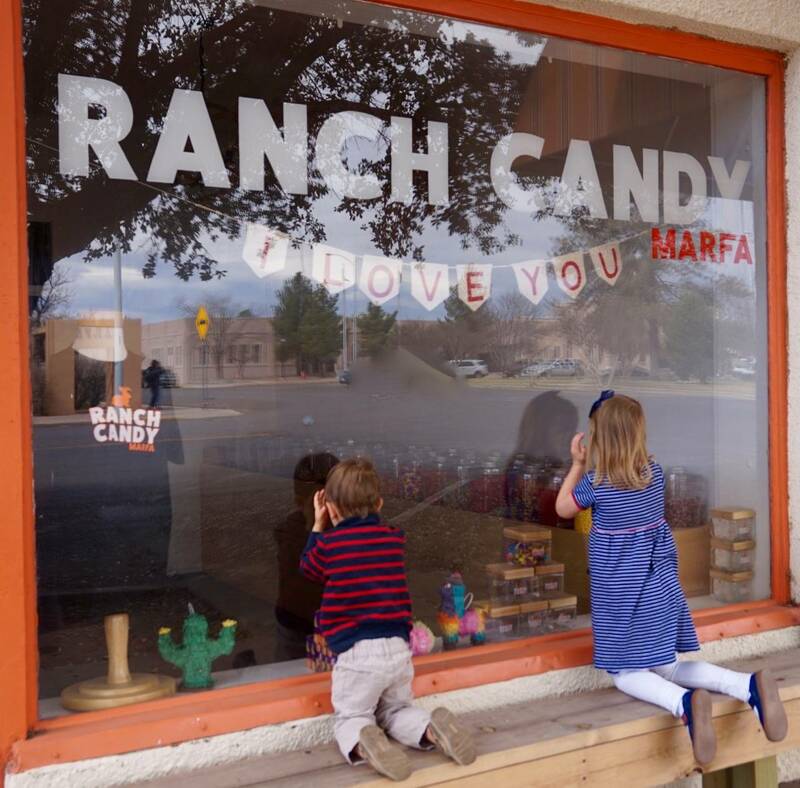 No trip to Big Bend National Park would be complete without pitstops into the quirky and quaint small desert towns of Marfa and Alpine. 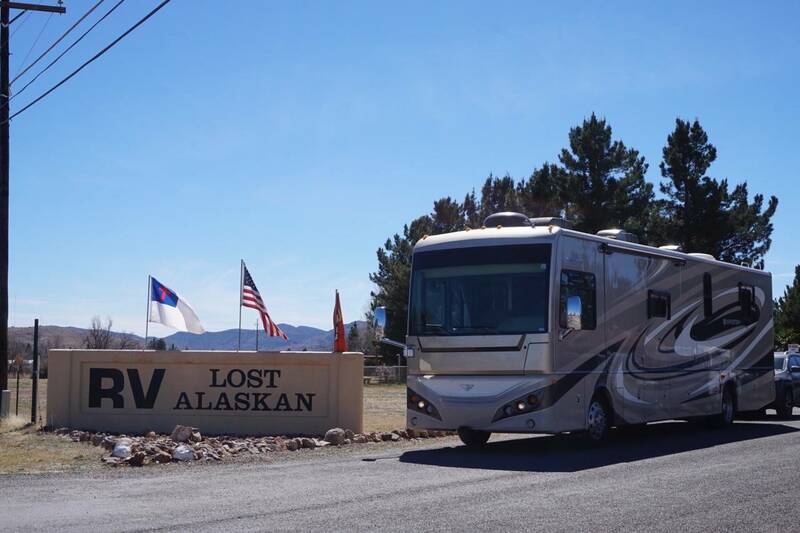 Our brief stay at the Lost Alaskan RV Park in Alpine was a great base for exploring both. 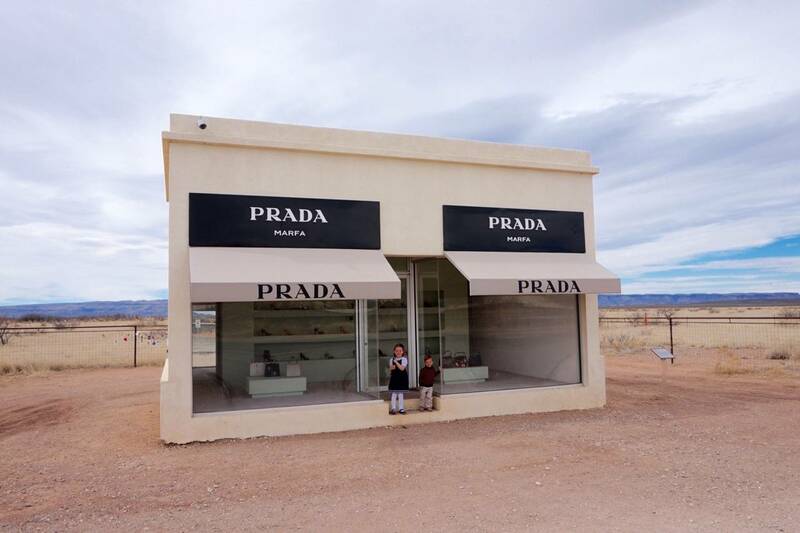 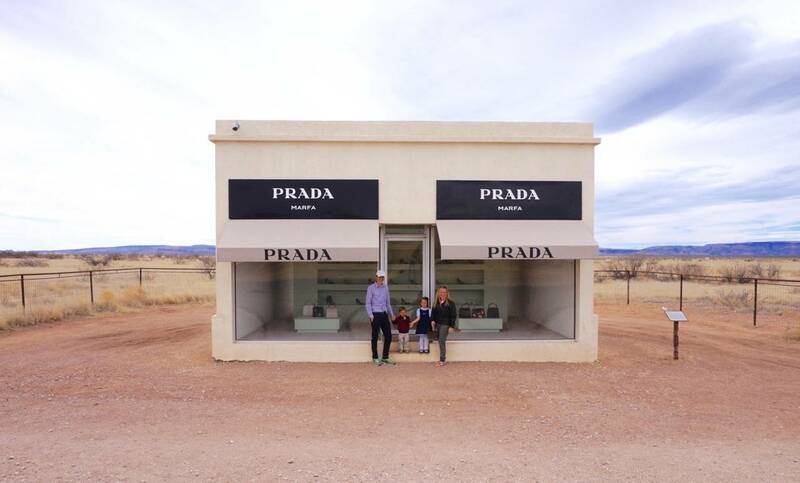 Nearly everything in Marfa is closed during the week, so unfortunately our day trip there only had us window shopping throughout town and into the nearby Prada roadside art installation. 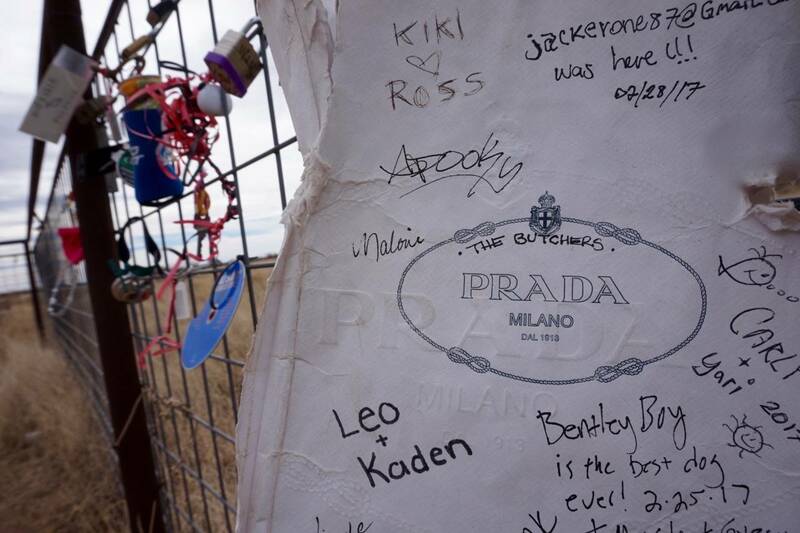 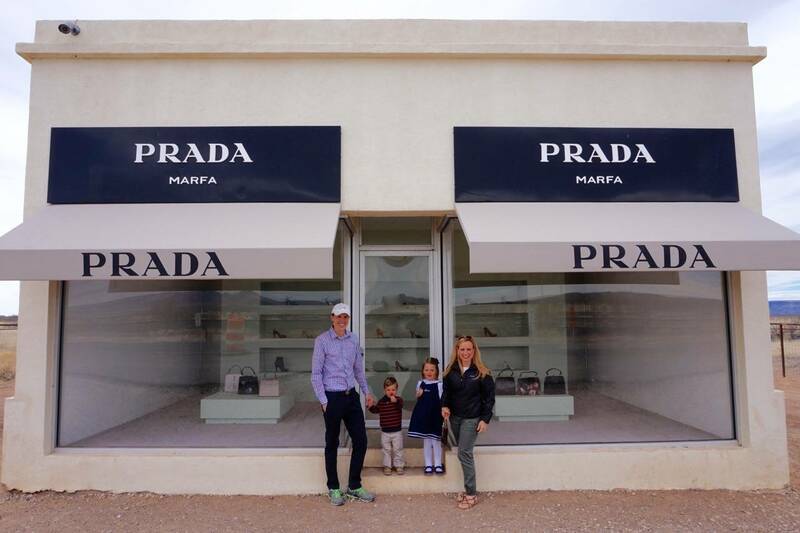 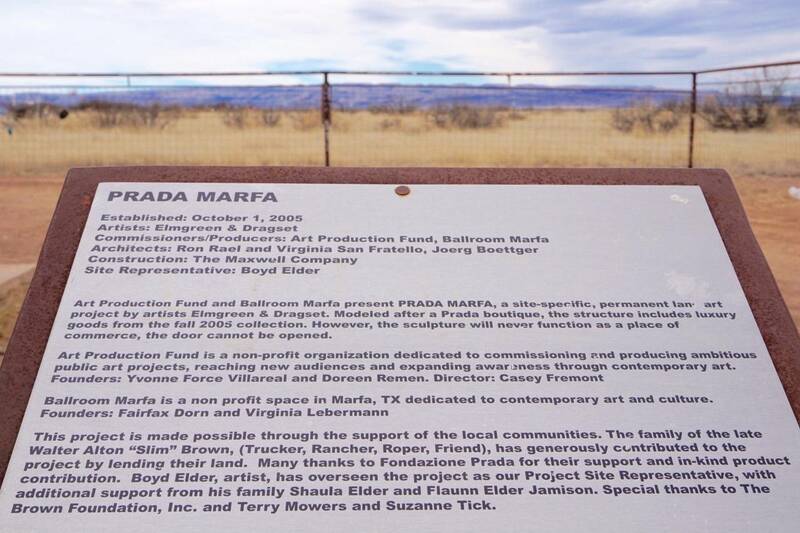 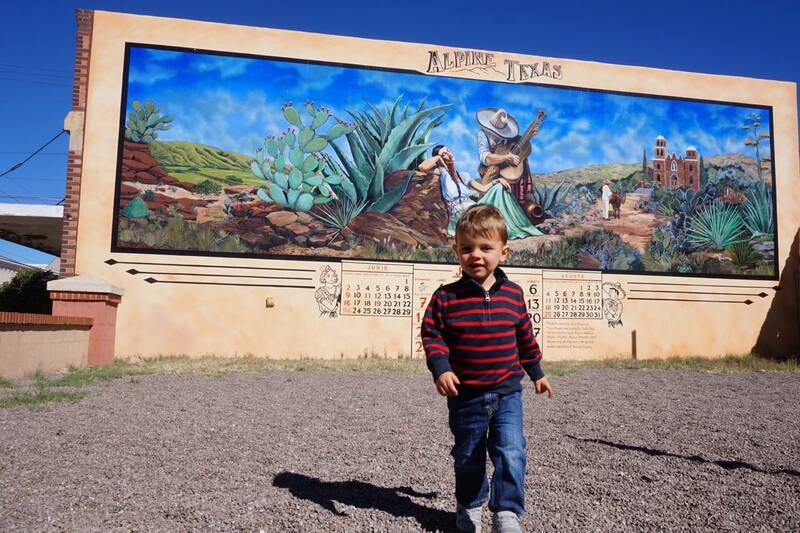 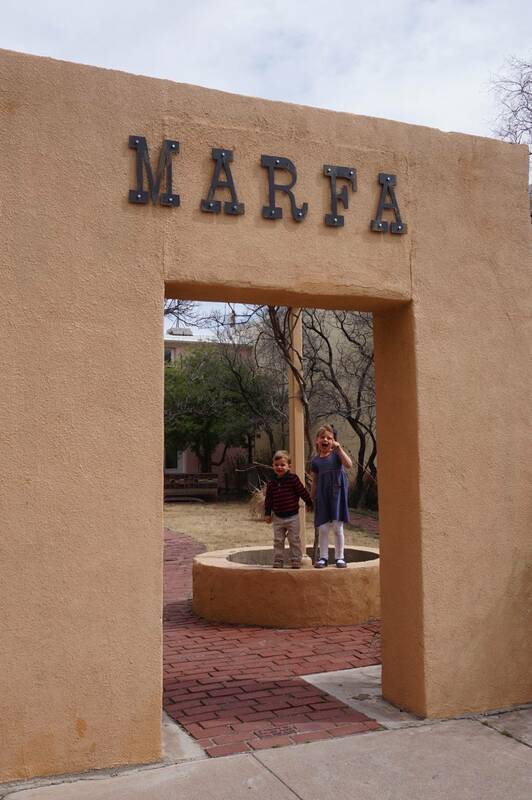 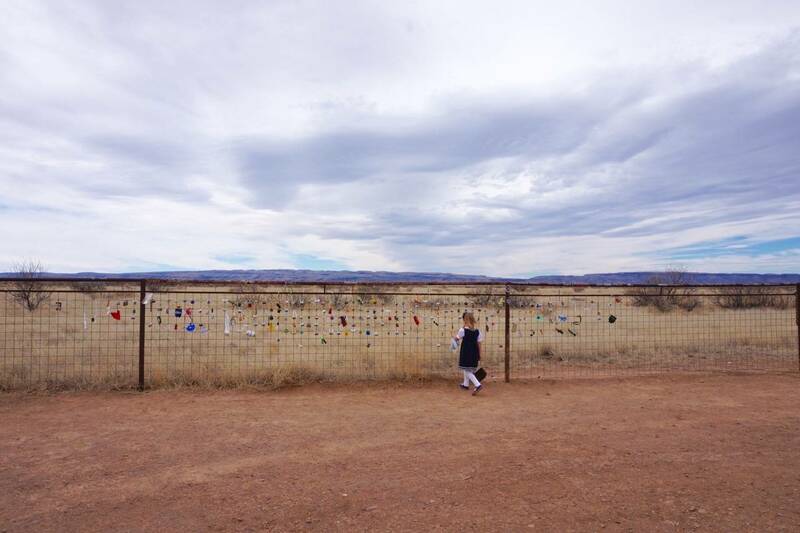 Two “secrets” if you’re planning a visit, 1) Prada Marfa is actually outside of Valentine, TX and nearly 45 mins from Marfa (that’s a long desert drive with toddlers folks – worth it? 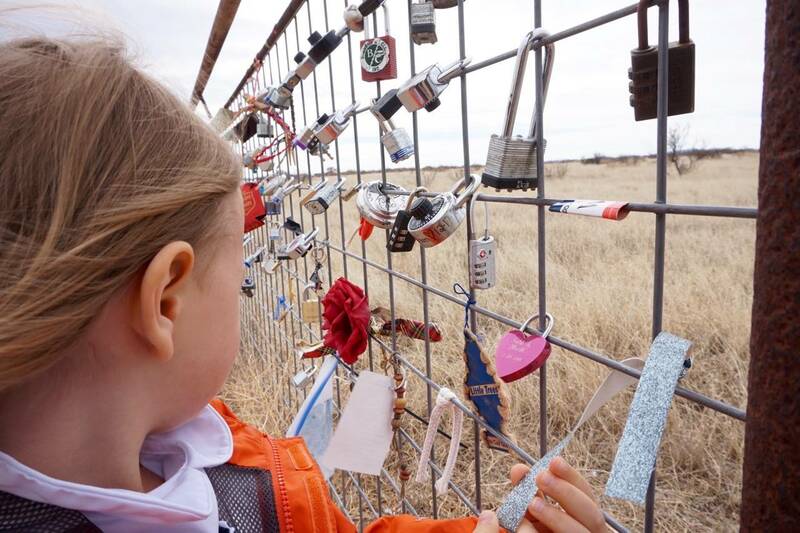 perhaps); 2) There is a growing collection of love locks and trinkets on the fence behind the installation, bring something to attach on your visit. 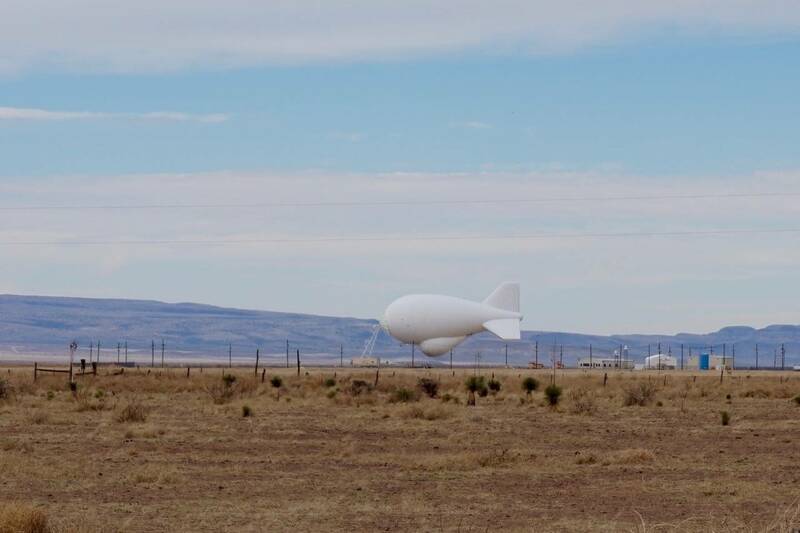 Another strange sighting along the route out to Prada was a giant Zeppelin-shaped white blimp. 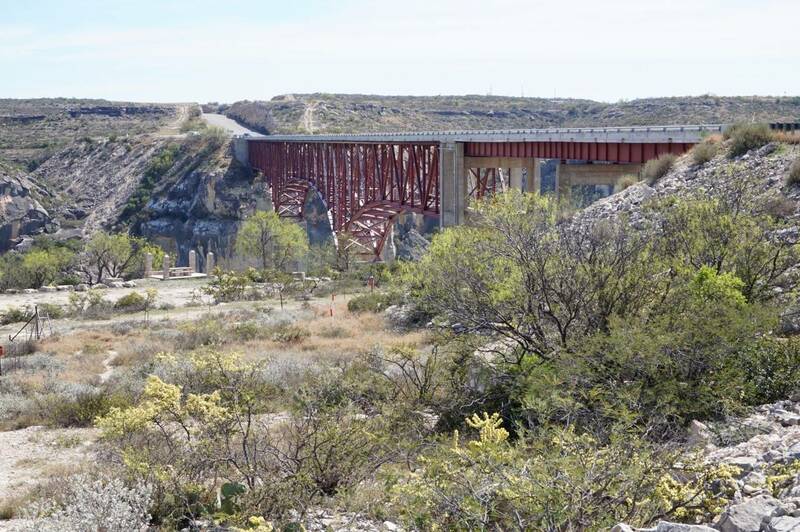 According to roadsideamerica.com it’s used to detect low-flying (and presumably illegal) aircraft crossing the US border. 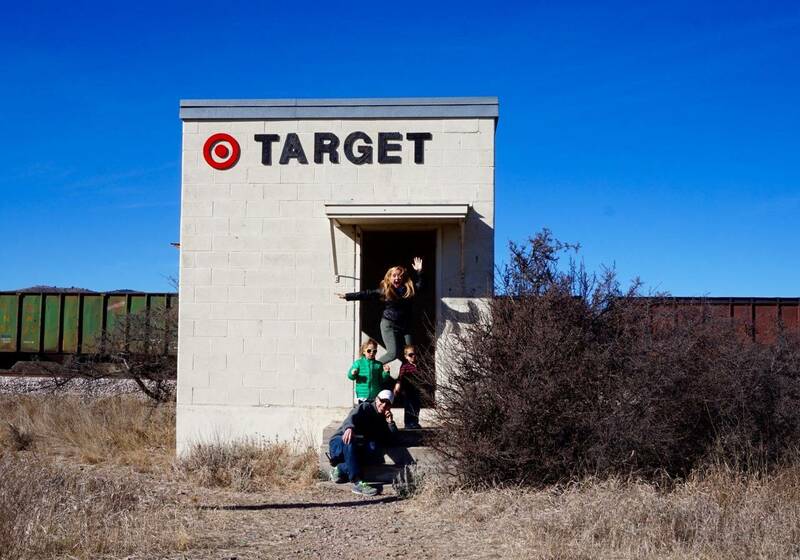 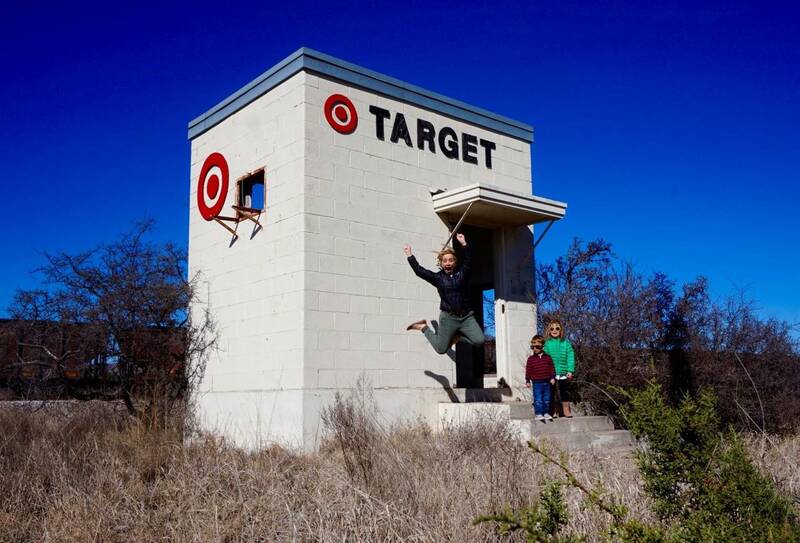 The next day we explored one other faux retail installation, an abandoned railway building between Alpine and Marathon, where an unknown artist installed Target signage. 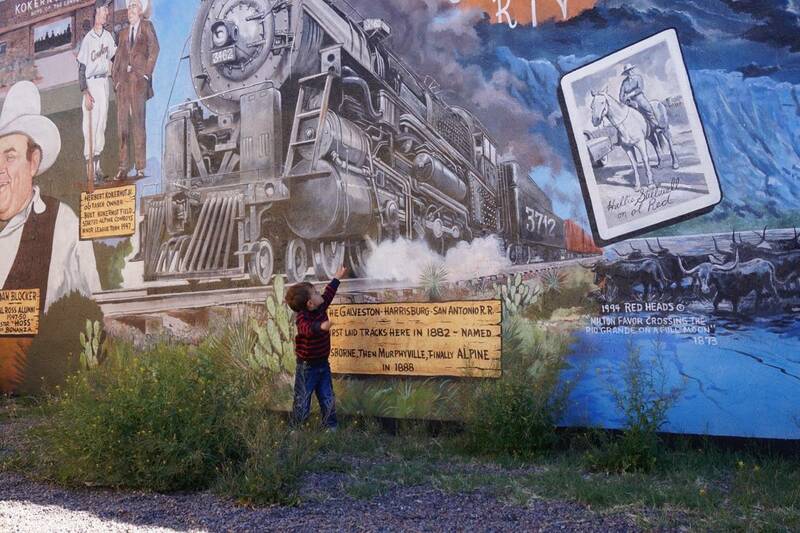 Much more of this momma’s style. 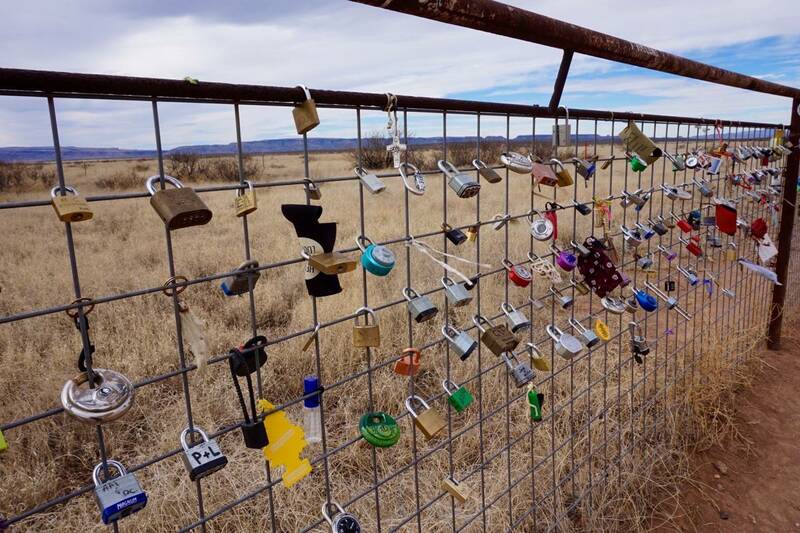 Looks like you made the most of the situation you found yourselves in. 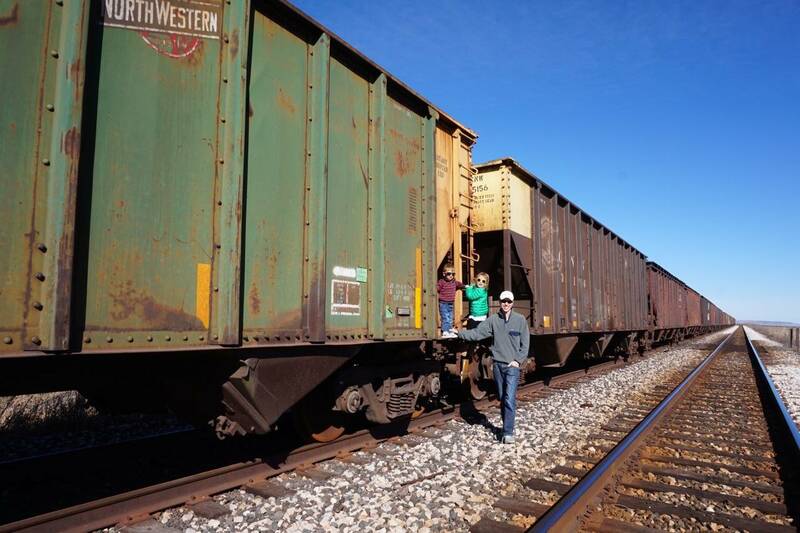 That’s what makes what you are doing a true adventure. 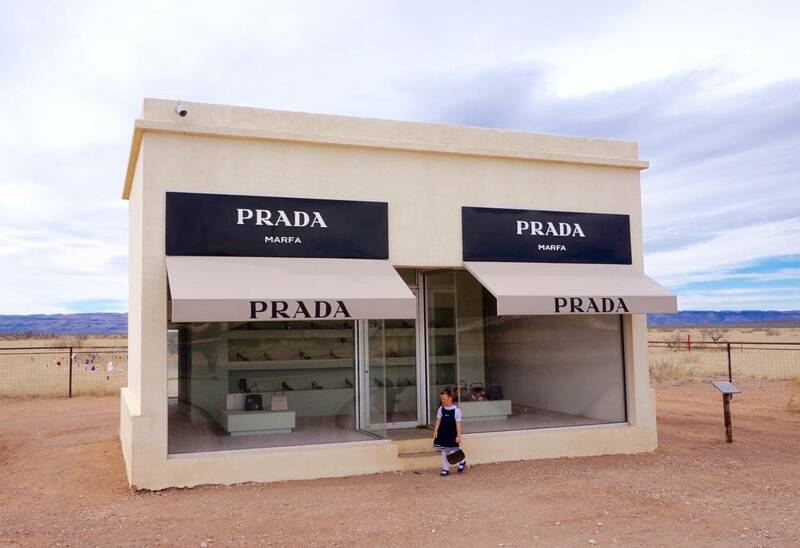 Always something new and different. 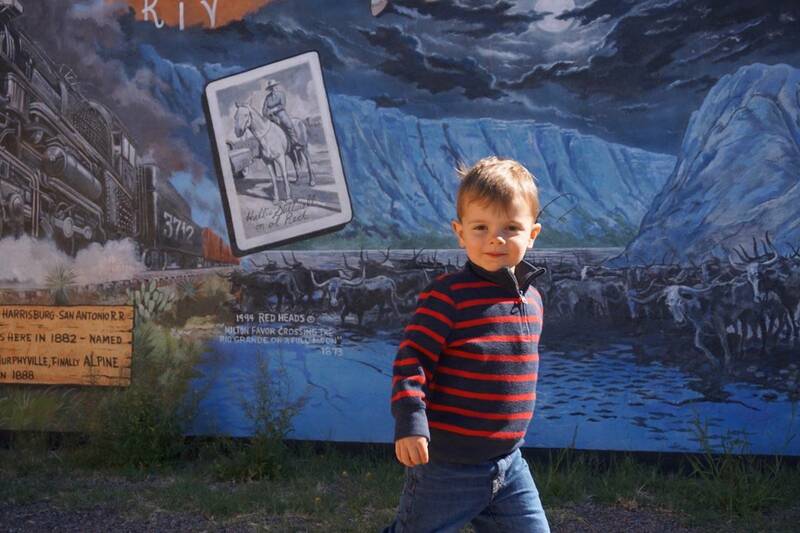 Happy trails.